After losing a tooth, you may find yourself wanting to fill the gap in your teeth and repair your smile. Beyond aesthetic reasons, filling a gap in your mouth can help improve your speech, improve comfort, help with eating, and facilitate better oral health. Today, you have the option of a dental implant. Dental implants are made to essentially become a permanent part of your body. Thanks to modern dental technology, we are able to produce dental implants that are virtually impossible to spot among real teeth with the naked eye, meaning your smile will look full and natural. 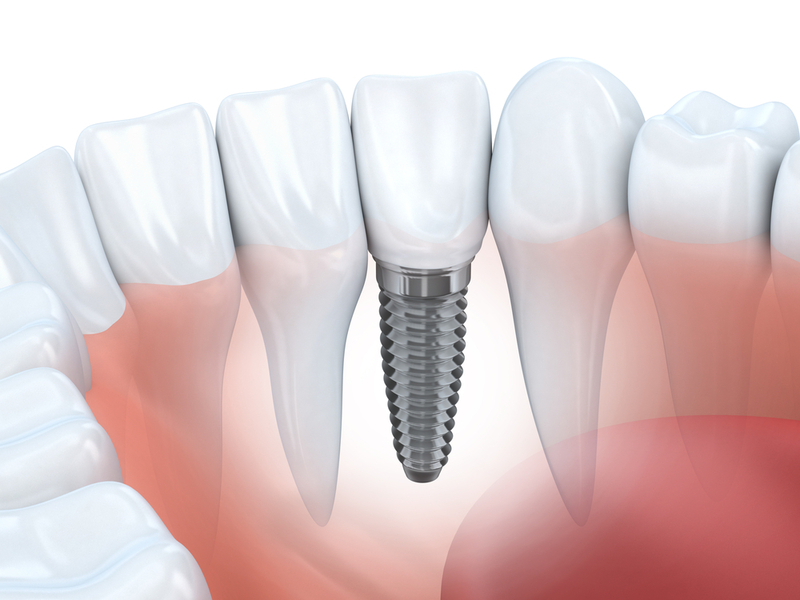 Modern implants work through a natural process called osseointegration. This is where the internal portion of the implant, made of titanium, bonds to the jaw bone, creating an extremely strong hold. Success of the implant and success of osseointegration depends on the patient’s health, specifically in the mouth and gums. An abutment (connecting element) is attached to the implant and from there, the dental prosthetic can be attached. The prosthetic is matched exactly to your other teeth meaning it won’t stand out in any way from the rest of your teeth. Having a healthy set of pearls is important not only for looks but for the health of your mouth. We at the dental office of Michael Vito, DDS have been expertly providing the Ocoee community with dental implants for years. We work hard to create an atmosphere that’s relaxed and inviting, while providing the highest quality patient care. This means we put you, the patient, above all else. If you want to learn more about dental implants or would like to set up an appointment, give us a call at 407-905-9888 or use our contact form.